After a long break in free WordPress themes lists we created one with most recent ones and we're surprised with the quality of themes released this year. 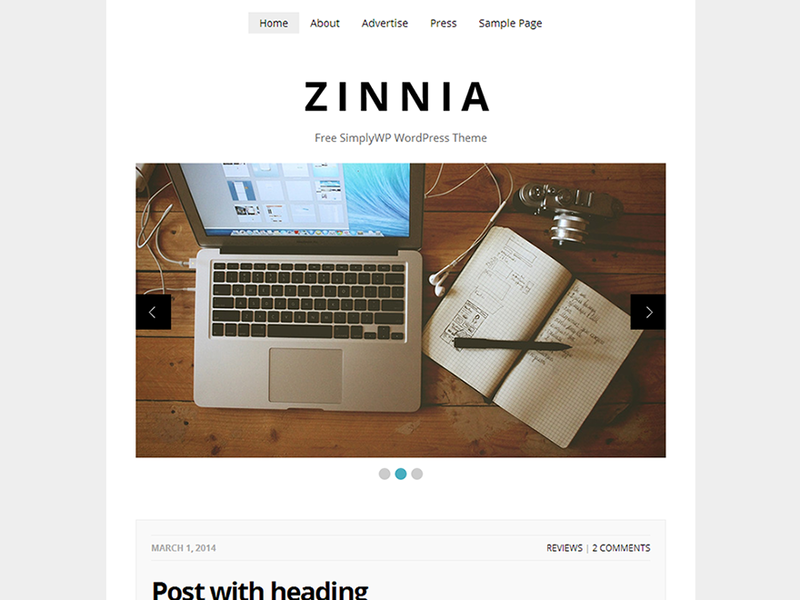 WordPress themes became truly outstanding and follow all current design trends. What is the same in all themes? Big images! We love them! 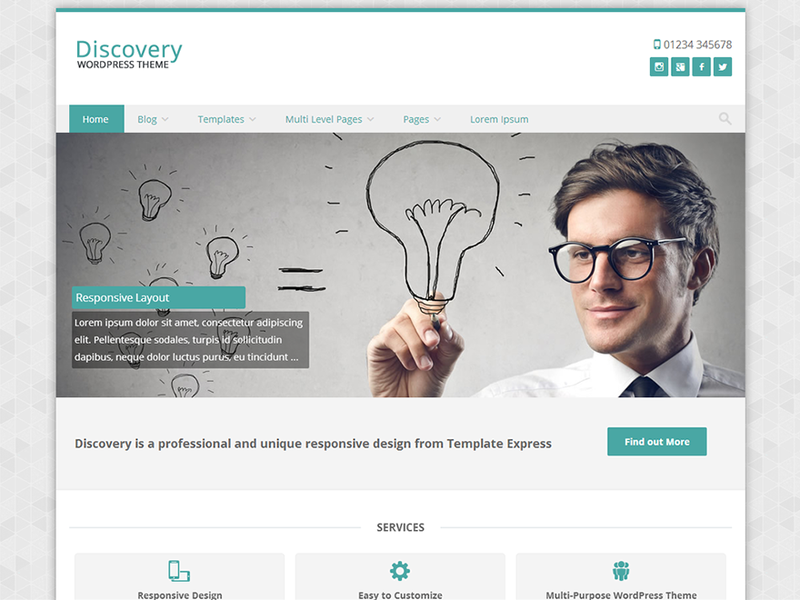 Discovery is a fully responsive and highly customizable WordPress Theme. Add your own logo, header, featured areas, social media links and much more. Tesla is a Free Premium WordPress Theme with clean, modern and responsive design, packed with advanced features and great customization options. 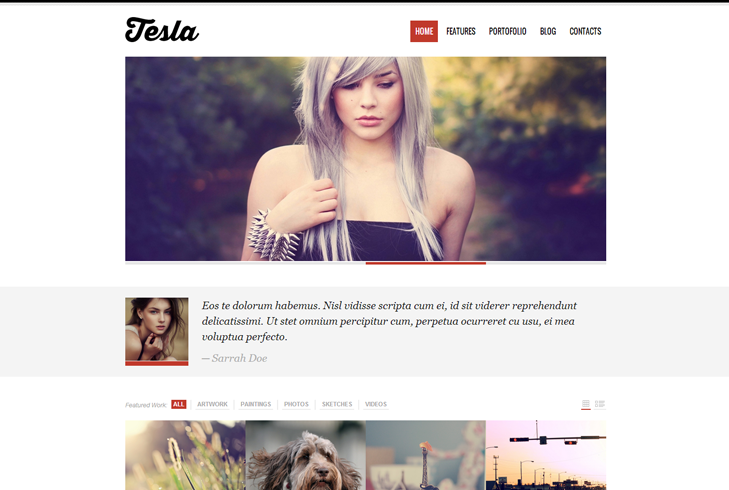 It is a great choice if you wish to test out Tesla Themes WordPress Themes or you have a limited budget for your website. 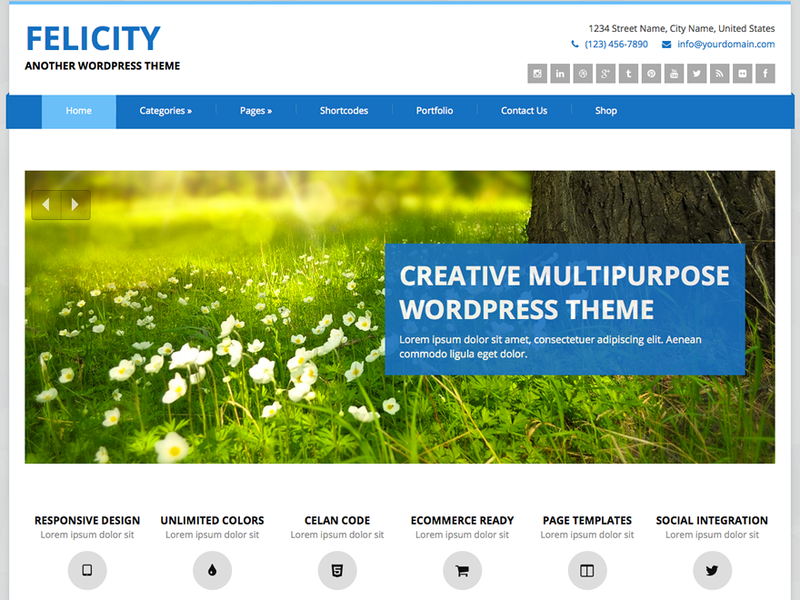 Felicity is a multipurpose responsive WordPress theme. Introducing a very clean and neat design, Felicity is super easy to use. It has advanced admin panel, supports responsive design, two awesome image sliders, customizable home page sections, custom logo and favicon, Google fonts, unlimited colors for the menu widgets header and footer, translation ready, 4 footer widget columns, scroll to top feature, social links, support for Contact Form 7, eight post formats and more. GeneratePress is a lightweight HTML5 and CSS3 framework that allows anyone to create a completely unique website right before their eyes. Adjusting the layout and colors of your website couldn't be easier, simply use our options in the Customize section of the Dashboard and watch the changes happen. GeneratePress is mobile responsive, W3C Markup Validated, Schema.org integrated, search engine friendly, cross browser compatible and 100% translatable. 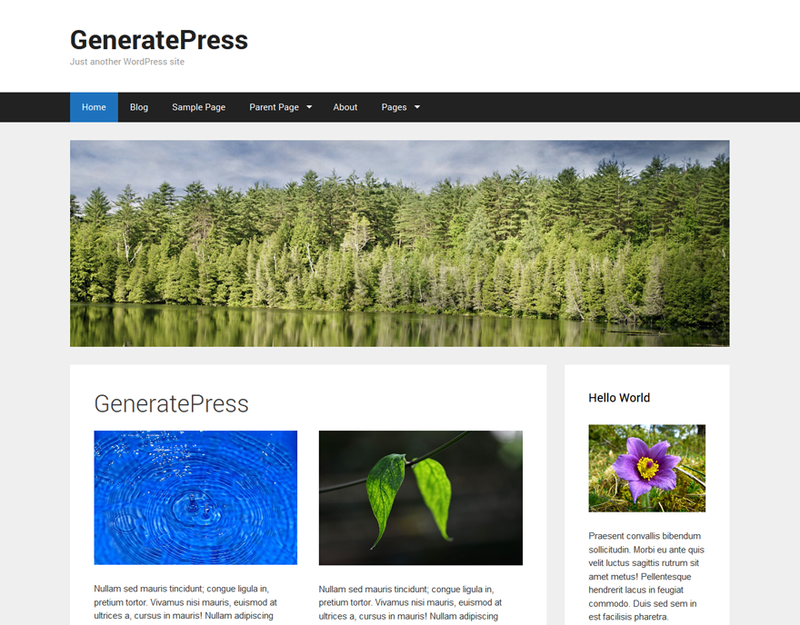 GeneratePress has 7 widget areas, 5 navigation positions, 5 sidebar layouts and much more. Minimalist design blog layout, your blog will look effortlessly stylish and it keeps the focus on what's important - the content. 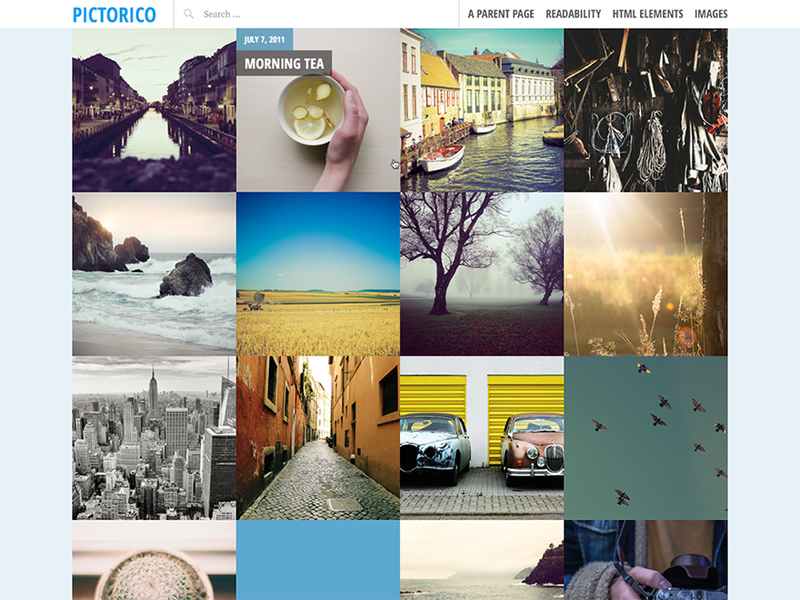 A single-column, grid-based portfolio theme with large featured images and a post slider, perfect for photoblogging or a portfolio site. Fictive is all about you -- your style, your look, your story. Make it personal with a custom header image, a Gravatar, and links to your favorite social networks. Use Post Formats to dress up your content, add a custom menu and widgets, or keep it simple with a fixed-position header. Pratt by XtremelySocial is an adaptation of the "Pratt" theme by Blacktie.co. 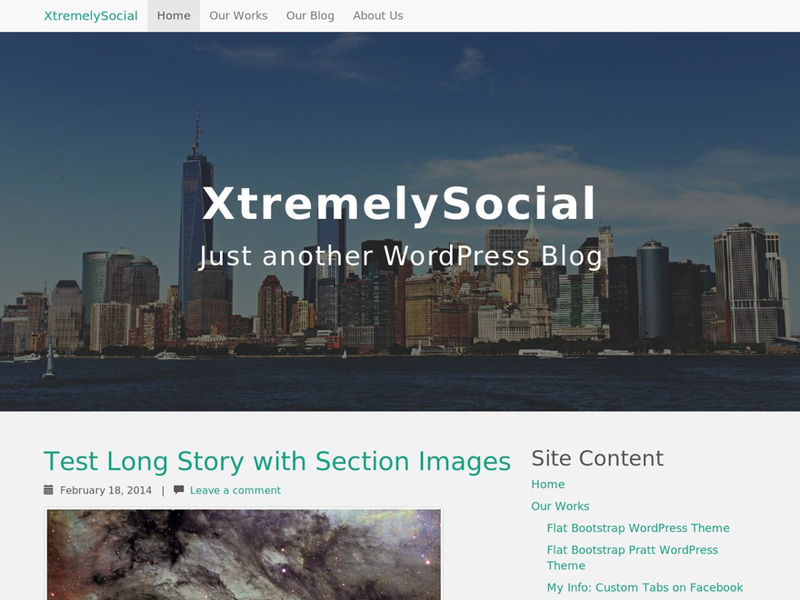 It is a modern, fully responsive, "flat" style theme with a nice color palette, big full-width images, and full-width colored sections. The navbar is fixed at the top of the page for easy navigation. It includes several beautiful header images for businesses, photographers, musicians, writers and you can upload your own as well. 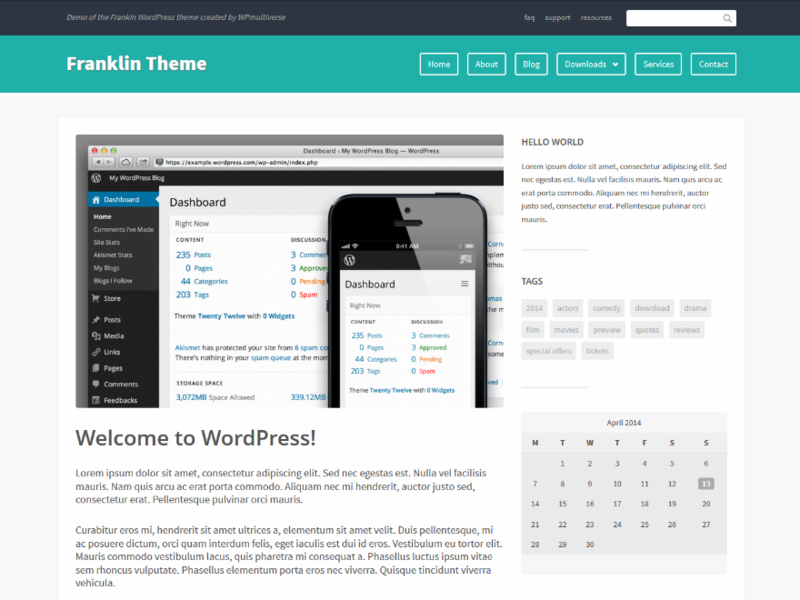 Franklin is a lightweight theme with a responsive layout designed for bloggers. Theme consists of a 2 column layout with a right hand widget area. 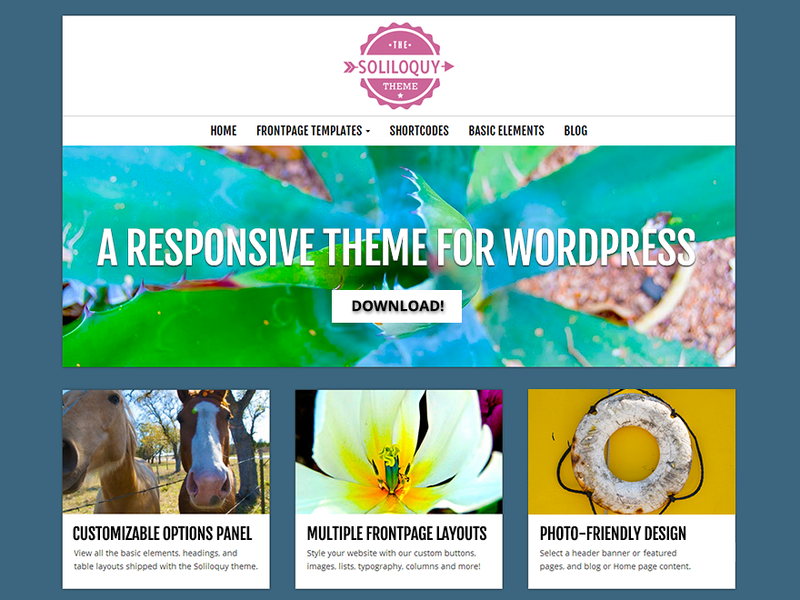 The Soliloquy theme is a modern, responsive, WordPress business theme that adapts to your screen size using the Bootstrap front-end framework. 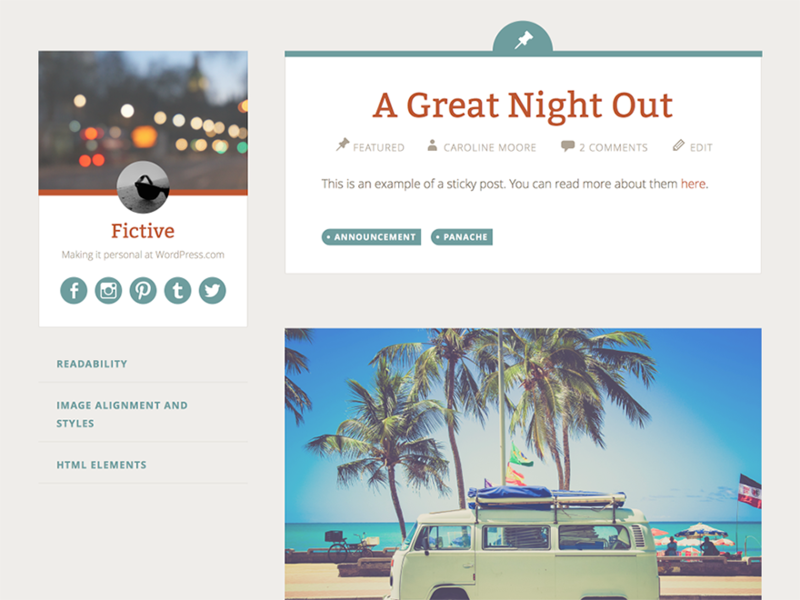 Choose from right and left sidebar options and an amazing array of page and post layouts depending on your needs. The Soliloquy theme is typography rich and emphasizes imagery and photography with full-width featured image options on all posts and pages. Love them, thanks for sharing. I shared on twitter, hope it brings you more visitors. Cool 🙂 Glad you like it!